The Toyota Camry hybrid saloon is set to return to the UK this summer. The new car uses Toyota’s New Global Architecture (TNGA) platform. In anticipation of the Camry’s arrival, Toyota has announced prices and outline equipment specifications for the new line-up. 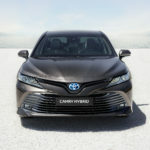 The eighth generation of the world’s best-selling upper medium saloon will be exclusively a hybrid model in the UK. 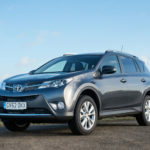 The RAV4 might have grown over the years, but it’s stayed true to Toyota’s original brief, offering car-like handling and running costs but with SUV style and a raised seating position. 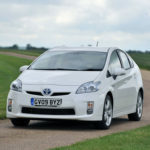 Toyota’s renowned hybrid Prius became a better family car in its third outing, with more interior space and a much bigger boot. 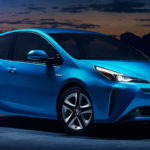 It’s also frugal and free-to-tax, and that isn’t where the money saving ends, because Prius bills should be few and far between thanks to legendary Toyota reliability. 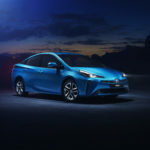 Toyota has revealed the all-new Toyota Corolla Saloon, ready to join the 12th generation range alongside the new British-built Hatchback and Touring Sports models presented earlier this year at the Geneva and Paris motor shows. More than 46 million Corolla cars have been sold worldwide since Toyota introduced the original model in 1966.